Our value proposition helps us justify our pricing. But how do you know if your pricing is right? No one will ever pay you your worth. Your clients will only ever pay you what they think your worth. What we don’t realize is, we have a part in determining the price that we get paid for. We are in control of how our clients and customers view the services we offer and the value we bring to them. In reality, the goal of setting the right price is to get as high a margin as possible. But the price, although the least attractive element of marketing, is a versatile element. Marketing Teacher discusses a Pricing Strategies Matrix that helps you decide how to market your products. Here are five strategies you can use to set up your price. Penetration pricing – This strategy lets you set your price low to get your market share. Once you have achieved your target, the price also increases. This is a great strategy if you’re introducing your product. An example of this strategy is France Telecom and Sky TV. They offered discounted telephone and satellite dishes to get people to sign up for their services. Then they offered bundles at higher prices, moving from penetration to premium pricing. Economy Pricing – It keeps the costs of marketing and promoting products to the minimum. An example for this would be the generic brands you find in supermarkets, like soups and pasta. This would be the basic package offering. Psychology Pricing – This involves techniques that encourage its buyers to respond on emotional levels rather than logical ones. Ever wonder why prices always end at 99 instead of 100 or 199 instead of 200? Customers tend to put more attention on the first number of the price tag than the last. It also creates an illusion of enhanced value for the customer. Bundle Pricing – This strategy is great if you want to move unsold items and increase the value perception in your target market. This also a more effective strategy for companies who are selling complimentary products. But the question still remains. How do you know if you are pricing your products right? 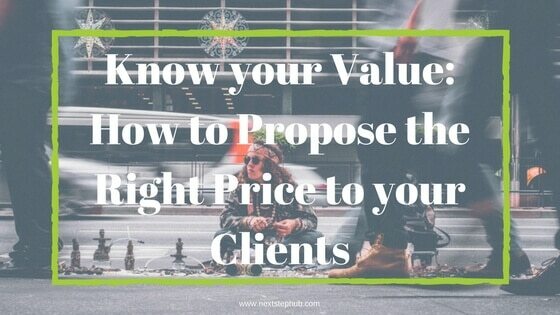 What value do your products and services bring to their business, and does it equate to the price you offer? Casey Brown is a professional speaker and Pricing Consultant for Precision Pricing. She uses her expertise in helping clients discover their true pricing power. She also helps them come up with a pricing strategy that helps improve the companies’ pricing. It is her personal mission to correct the injustice of underpricing, especially among women professionals. In her TedTalks entitled ‘Know your worth, and then ask for it’, Casey Brown talks about the difference in pay between men and women. A study by the Bureau of Labor Statistics states that women employees earn 83 cents for every dollar a man earns. And this trend has continued even in the entrepreneurial sphere. Most of the time, women entrepreneurs are uncomfortable with expressing their value. Women are timider when it comes to presenting the value they offer. This is in fear of being too aggressive for their own good. Casey realized she needed to change this perspective. And she needed to start with the way she saw her own strategy. After seeing the growth of her clients’ businesses, she realized that she needed to reassess her pricing strategy. So she sat down and took it to herself to take a dose of her own medicine. She assessed herself, her skills and the value she offered to her clients. In doing so, she found her voice and a way to communicate the value that she brings to each company she works with. Watch her Ted Talk below and learn how you could bring more value to yourself and your clients.